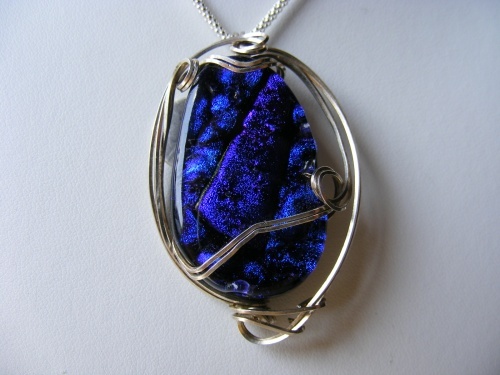 This dramatic piece of dichroic glass is so unique. Hand made by glass artist Rhonda Young. Colors are rich and deep, striking in every way. Measures 2" and comes with a 20" sterling silver chain.